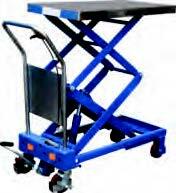 Lift tables and scissor lifts increase efficiency, reduce errors, and prevent injuries. 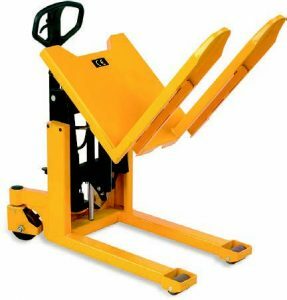 Workers who must lift heavy items are more likely to be injured and will work slower and less effectively. 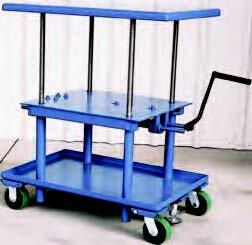 With our large product line from manufacturers like Handle-It, Presto, Southworth, Vestil and Wesco, we can prevent those injuries. 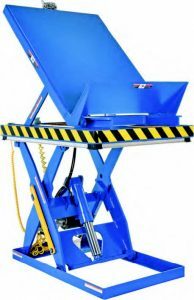 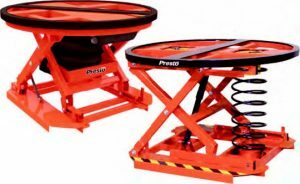 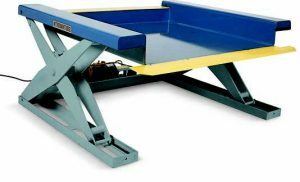 If your employees are handling, lifting or rotating pallets, we can offer a more effective and ergonomic solution by using pallet positioners, turntables or tilters that bring contents to a more ergonomic reach. 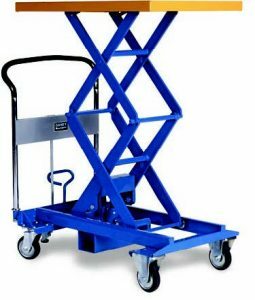 Why not reduce injuries, increase productivity, and increase work speed by putting the work where you need it? 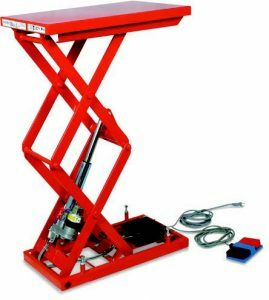 For further information on lift tables, scissor lifts or pallet positioners, call our sales team today.